can be found performing all across the state throughout the year. 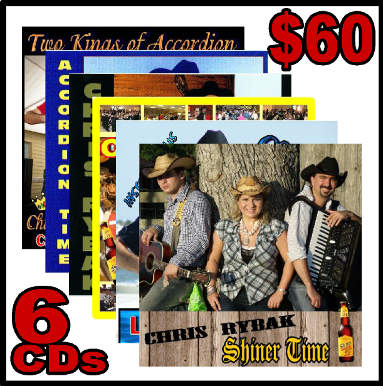 6 Most Popular Chris Rybak CDs for $60!!! CHECK OUT OUR NEW CHRIS RYBAK T-SHIRTS! 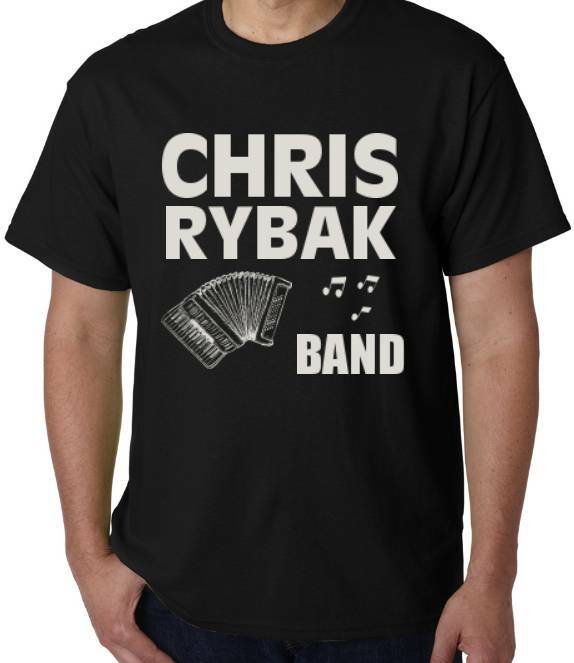 CHRIS RYBAK BAND T-Shirt is available in BLACK with MATTE SILVER lettering and is sure to impress! T-Shirts run NORMAL, are 100% pre shrunk cotton, and are crew neck. 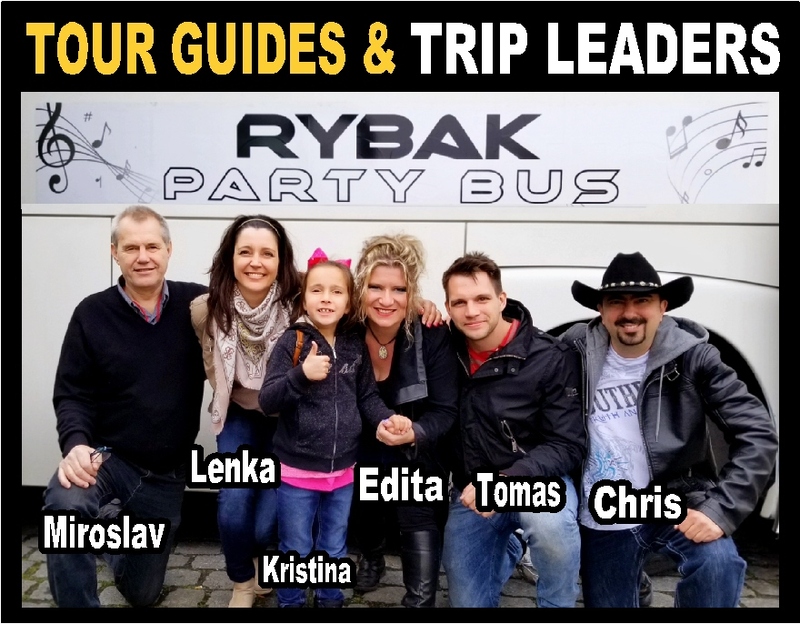 FUN & ADVENTUROUS TOUR, WITH PARTIES, CRUISES, SLIVOVICE & ACCORDION MUSIC!!! JOIN US FOR AN UNBELIEVABLY AWESOME TRIP OF A LIFETIME! Click Here to Hire Chris Rybak Now! My wife is Lily Hermes from Hallettsville who graduated from Sacred Heart in 1972. Her mother still lives in Hallettsville. Her name is Rosemary Hermes and she's 92 years old. My wife's sister Sharon Reagan also is retired and lives in Hallettsville. Everyone I know including us loves your energy and music! You're a breath of fresh air for the Hallettsville community! Keep up the good work! NEW EUROPE TOUR MAY 2019! Like CHRIS RYBAK BAND on Facebook!!! "Chris and Edita, Vonda and I had a wonderful time in Europe. It was a trip of a lifetime for us. We had always hoped to visit the Czech Republic together. Thanks for this opportunity. And, once again we got to visit Robert's family." "We are in our 80's Have been polka dancing 30 of those years and you are honestly the very best according player we have ever seen. We are from Sterling, KS.. and in Rockport, TX for the winter. We go thru Hallettsville both coming and going to KS. Just wanted you to know we thought we know you are the best. If we were younger we might go on one of your cruises just to hear the wonderful music. I'm sure you were given the accordion talent by God himself ... being a piano player that had to play be note ... know that's not the case for you. Youre Daughter is really cute. Thanks for showing us your talents." " Chris & Edita, the trip couldn't have been better. Thanks for putting it together." "Dear Chris & Edita, thank you so much for the lovely reunion. I was so happy to see everyone again and thanks again for the wonderful trip to Europe. I'm waiting anxiously for the DVD. My love and prayers." "I just wanted to say Thank You for a very enjoyable cruise, one I will never forget. You both were so entertaining and you are such nice people. We met a lot of people and we want to stay in touch with them. Hope to see you soon. God Bless and keep you safe always." 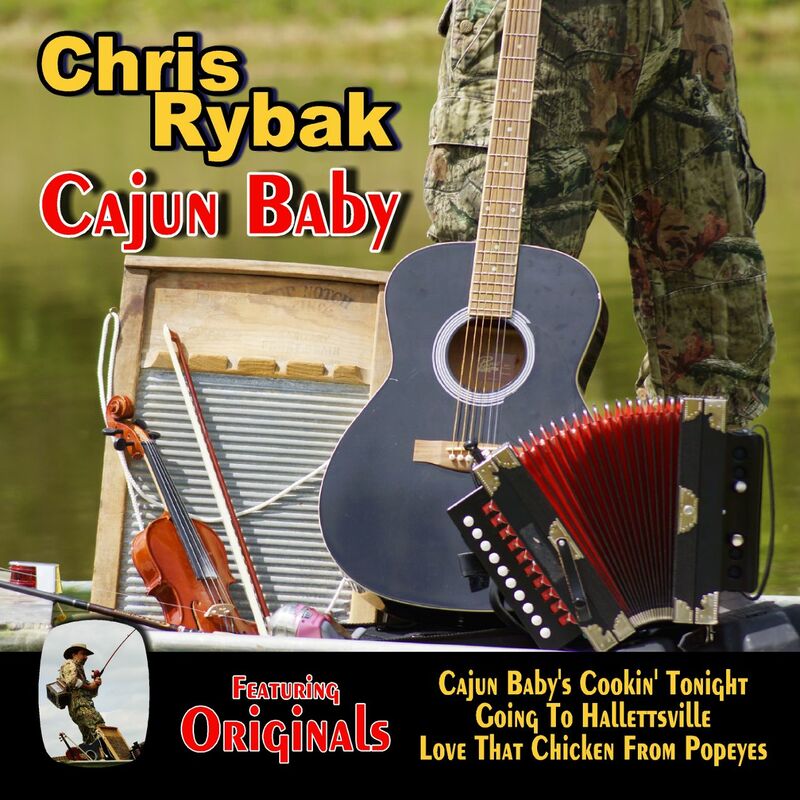 "I just want to say that the other night at Lenz Hall that Chris Rybak is one of the best polka players left in the US. If only we could get the polka music heritage back up and going. I just want Chris to keep up the awesome playing - and polka lives forever! "Dear Kiddos: Thanks again for sending your wonderful CDs - they perform for us everyday! We love your great style and beautiful wife and daughter. You made our party the success it was and hopefully we can put another one together soon! Knowing you has truly been a blessing and we are especially proud to say you are our friends. May God bless you with good health, happiness, and much success!" "Chris was beyond wonderful. I only wish there were a rating greater than 5 stars. Chris is incredibly talented. He performed on our piano on his break, and my family would hardly let him back up. He was very attentive to my Dad's wishes (which meant the world to me). Chris was very accommodating, a true entertainer and crowd pleaser. This is the second time I have hired Chris, and the way my family raved for days thereafter, it won't be the last. All I can say is he is a talented, attentive, crowd pleaser that leaves you wanting more. Does it get better than that? 10 stars is my rating. Thank you Chris !!" "My wife is Lily Hermes from Hallettsville who graduated from Sacred Heart in 1972. Her mother still lives in Hallettsville. Her name is Rosemary Hermes and she's 92 years old. My wife's sister Sharon Reagan also is retired and lives in Hallettsville. Everyone I know including us loves your energy and music! You're a breath of fresh air for the Hallettsville community! Keep up the good work!"